The 2015 Mazda6 sedan is a blast to drive so come down to Cutter Mazda in Waipahu, Hi and see our large inventory for sale and test drive. Serving the Wahiawa, Kapolei, and Pearl City areas we at Cutter Mazda our staff is prepared at our training center to meet our high level of expectations. Check out how the Mazda6 compares against the Optima. Right from the start, the Mazda6 has a lower MSRP ($22,010) when compared to the Kia Optima’s ($22,450). Adding features and options or moving up in trim level will mean higher payments each month, as well as increased insurance costs if you choose the Optima. Value means spending less and getting more, something the Mazda6 does in true style. The 2015 Mazda6 features a sprightly 2.5-liter inline-four, with 184-horsepower and 185 ft-lbs of torque, while the 2015 Kia Optima has a 2.4-liter four-cylinder that offers up 192-horsepower with 181 ft-lbs of torque. These numbers may sound like the Optima has the advantage, but more horsepower also means less mpg. 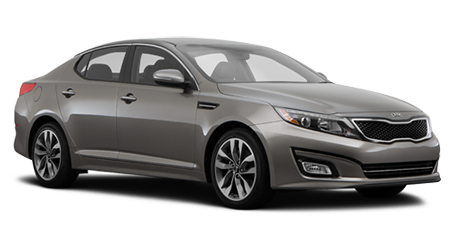 The Optima only earns 24 city and 34 highway mpg, compared to the Mazda6's 25 city and 37 highway mpg. The Optima brings a monthly fuel cost of $163; compared to the Mazda6's $151 you'll save about $12 per month, which is $144 every year!